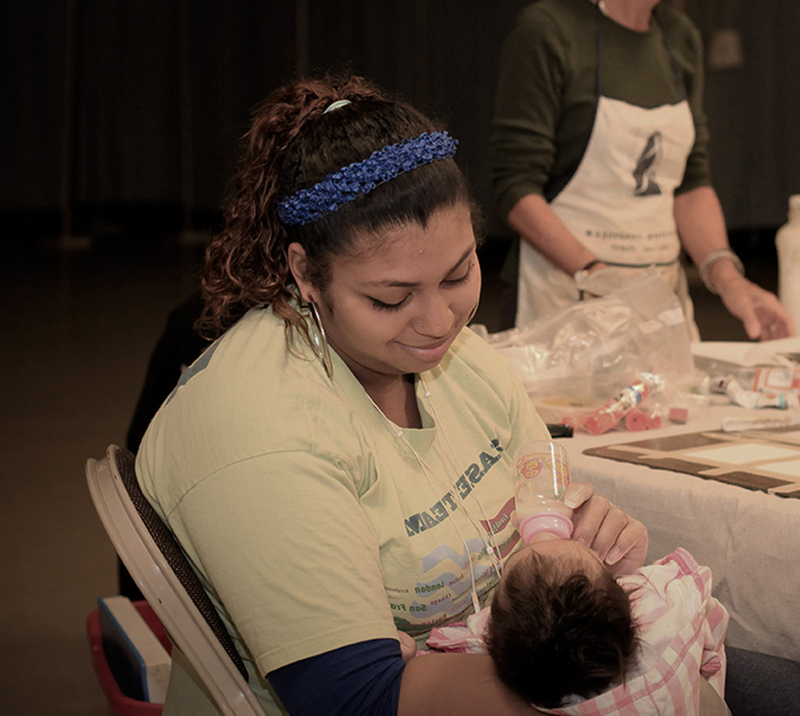 Volunteers of any age are always welcomed and appreciated at Family Promise! Our success would not be possible without each and every one of our valuable volunteers. We have many ways for individuals, groups, families, congregations and businesses to become involved – age, skill and availability don’t matter – we will find the perfect fit! Search our current list of HOST CONGREGATIONS to see if there is one near you in need of volunteers. CONTACT US if you are interested in having your congregation become one of our Host Congregations. Your Donations are Welcomed with Open Arms! WHAT TYPE OF DONATIONS ARE WE SEEKING? Finding yourself without a home for your children is one of the most devastating and scary situations a parent can face. Not only does Family Promise help children and their families at this time of crisis, but we also help them long after they move into their new home to ensure a future of self-sufficiency and independence. We've registered a list of desired items for easy online purchasing at either WALMART, TARGET or AMAZON. Click the buttons below to view our Registries & Wish Lists.